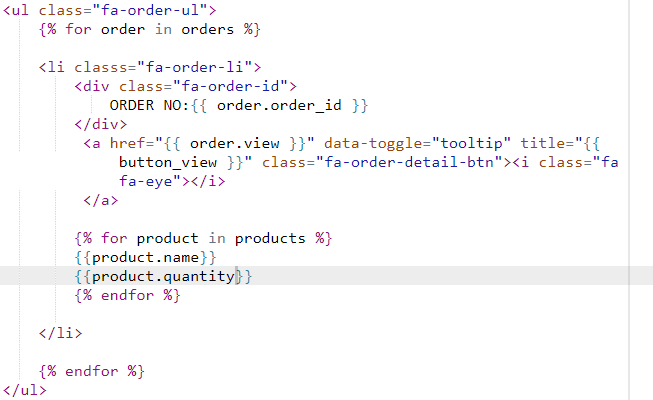 I want to show product details/get all products images names inside an order in order history, to achieve the same I have inserted my code inside a result loop just like the below code but it is fetching only one product and that same product is visible to each orders. Thanks for the quick response, well i want to show product details in order history page of user not admin. I really appreciate your help dear but its not related to my subject i need help for order history page not order info page which comes after order history page/Order list page. I want to show product details like images quantity and all the other info inside each orders. Let me know if you can help me with that. I am bit close to the solution but stuck in this part only. Well it's not a good practice users cant just decide by the product name before they click on "View order Details" in my point of view users must see the product image and other few details like images, size what he had ordered in the past before he clicks on any details. Even many Giant Ecom companies follow the same UI practice. Why would they waste users clicks if we can show the details in Order history only.